In the past several decades, we have witnessed a growing political culture in Sri Lanka, of falsifying, distorting and fabricating history and using slander as a weapon for silencing political critics. This political culture is not limited to Sri Lanka, but prevails globally, not only in politics but in almost all other spheres of influence. In Sri Lanka, in general, this political culture is apparent in most political parties, and particularly, in the political movements of the left. Internationally, this political culture is well-known, as epitomised by the political struggles between Stalinism and Trotskyism during the last century, which still continues. This is a vast topic with an unlimited scope of discussion. However, I restrict myself here to reflect upon the politics of the left in Sri Lanka, particularly relating to the recent politics of the Janatha Vimukthi Peramuna (JVP – Peoples’ Liberation Front) and the Frontline Socialist Party (FSP). 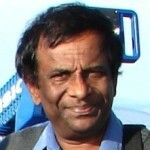 The episode of comrade Kumar Gunaratnam alias Kumara Mahaththaya (Kumar) provides us with a classic example of this harmful and predominant political culture that is prevalent in Sri Lankan politics: politics of falsification, distortion, deception and fabrication of history and the use of personal slander as a weapon in the process. Premakumar Gunaratnam| Photo courtesy Peter Boyle. Before discussing aspects of political culture prevalent in Sri Lankan politics, let me digress by briefly citing the following international example. Exactly twenty years ago, on December 6, 1995 a Soviet era historian, General Dimitry Volkogonov, passed away. In 1988, he was a self-proclaimed Marxist-Leninist. Lenin was God for him, and he praised Lenin as a genius that led the October Revolution, a glorious achievement of the mankind. Stalin was a fallen angel, and Trotsky was an anti-Communist and anti-Soviet renegade. From an atheist and “Marxist-Leninist”, Volkogonov first became a humanistic democrat, then a Russian nationalist and later morphed into a liberal anti-communist*. This conversion was not due to an intellectual liberation of a historical scientist, but due to the rebirth of Russian capitalism as symbolised by the opening of a new Coca-Cola bottling plant near Moscow, anointed with Holy Water by a Russian Orthodox priest, complete with his beard, his princely robes and a mitre. In the 1990s, Volkogonov ‘having seen the light’, discovered that Lenin was an evil genius who masterminded the abominable October putsch. Volkogonov attempted to resurrect stories of German gold financing the Bolsheviks, and Lenin being a German agent. To muddle up history, he mixed up both circumstances and historical context, omitted the fact that Bolshevism grew as a tendency and took shape based on the experiences of the 1905 Revolution, which Lenin described as the dress rehearsal for October. To use Leon Trotsky’s terminology, Volkogonov was one of the top practitioners of Stalin’s school of falsification. According to Felix Kreisel of Iskra Research Publishing House, Volkogonov must be classified as a court historian, i.e. a bemedalled and bejewelled courtier of the ruling elite who specializes in serving up the historical myths required and requested by his masters. Every king, Pope and tsar had needed such a courtier, a specialist in prettifying and glorifying his rulers, a crafty scholar who confuses and mystifies the people, thus protecting and preserving his odious regime. Kreisel describes the manner in which many like Volkogonov rose to the top ranks of a Soviet era school of historiography, by concealing facts, silencing and murdering witnesses, pulping history books, and inventing tales. Leaving out the historical and social circumstances of the Russian Civil War, foreign intervention and blockade, and leaving out the social, political and economic conditions that prevailed in the Russian empire, Volkogonov condemned the ‘anti-democratism’ of Lenin. Yet, one could not see any historical review or analysis of those events that took place during that period. Volkogonov also had a change of heart regarding Leon Trotsky’s political views. In 1988, he accused Trotsky of hatred of the Slavs, of anti-Russian chauvinism. In 1991, he congratulated Trotsky on his immersion in Europe, praises his knowledge of Western literature, art, psychology, flattering Trotsky as being the “most European among the revolutionaries. Whatever the relative truths and untruths regarding these allegations of falsification, distortion and fabrication of history, truth relating to progressive social development as history has shown will be difficult to shelve or hide in the long-term. Coming back to discuss the political culture prevalent in Sri Lanka, we can consider the recent controversy regarding the Politbureau member of the FSP, Kumar Gunaratnam. I am not an affiliate of the FSP or the JVP, but it was interesting to watch the different views the leaders of the JVP, ex-leader of the JVP and Former Secretary to the Ministry of Defence have expressed. 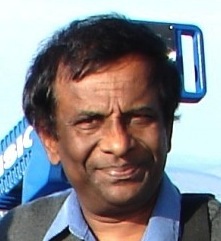 Since the breakaway of the FSP from the JVP in 2012, Kumar has been at the centre of several controversial political episodes. 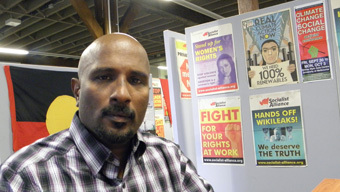 I knew his brother Ranjitham Gunaratnam, but came to know Kumar only in the recent years, after he was ‘unofficially deported’ back to Australia in April 2012. The state security forces assassinated Ranjitham in 1989. He was a member of the Politbureau of the JVP. According to informed sources both of the JVP and the FSP, Kumar had played a major role in rebuilding the JVP after its brutal repression in the late 1980s.